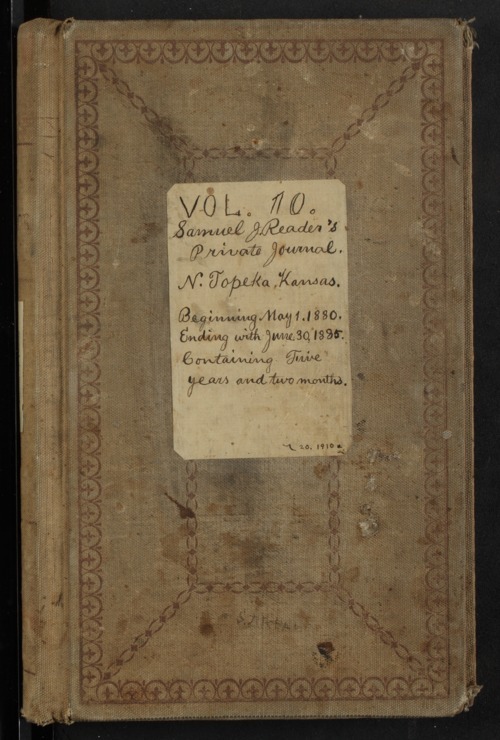 Volume ten of Samuel J. Reader's diary. During this period, several deaths in his family occurred, including his brother-in-law, his father, who died on April 20, 1884, and his daughter, who died on April 29, 1885. In addition to English, Reader writes the diary in shorthand. Reader also attached newspaper clippings of personal interest to some pages of his diary and doodled illustrations on several pages.